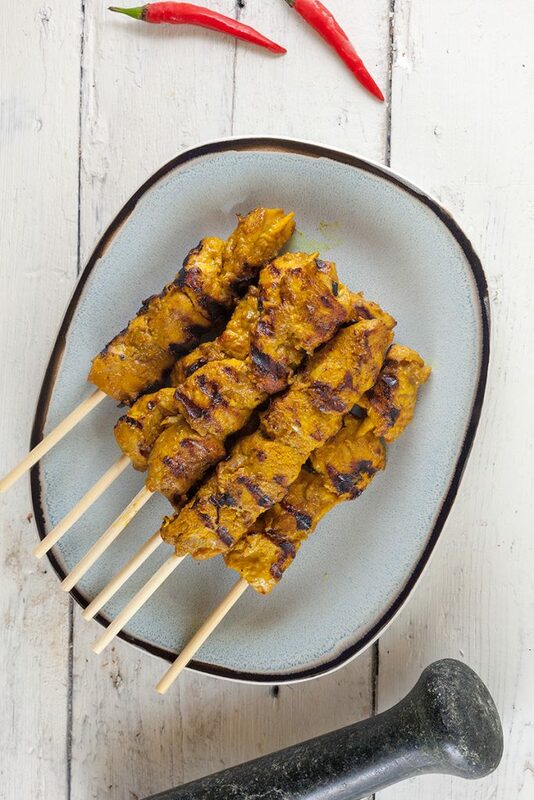 Delicious grilled chicken satay, marinated in a paste made of turmeric, garlic, chili and lemon grass. Easy to create, but you'll need some patience while the flavors will enhance. PEEL and coarsely chop the shallots and garlic cloves. Remove the seeds of the chili peppers if you like a milder version and also coarsely chop the peppers. CREATE a puree of the shallots, garlic cloves and chili peppers. You can use a mortar or small blender. ADD turmeric, coriander, ginger, lemongrass, soy sauce and brown sugar and blend until you’ve reached a smooth paste. 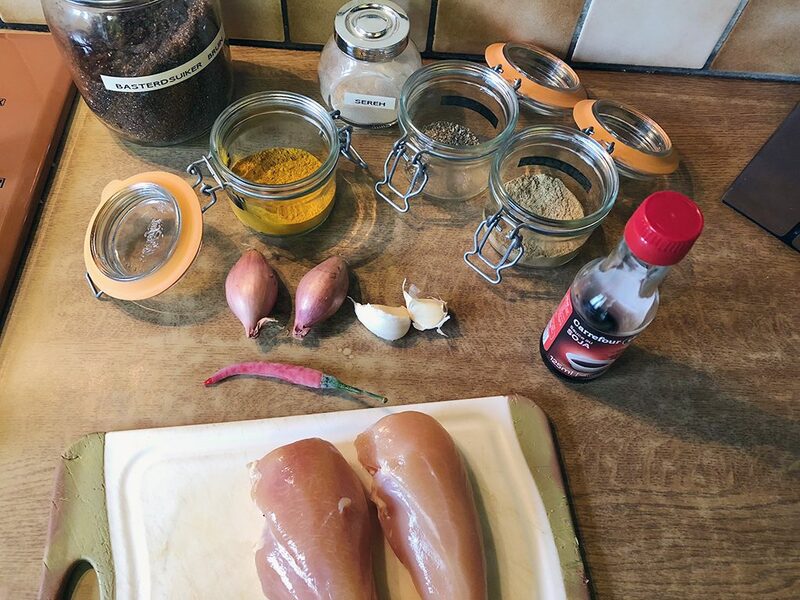 REMOVE any excess fat or muscles from the chicken breasts and chop into bite-size pieces. COMBINE the spice paste with the chicken and let it marinate for at least an hour. 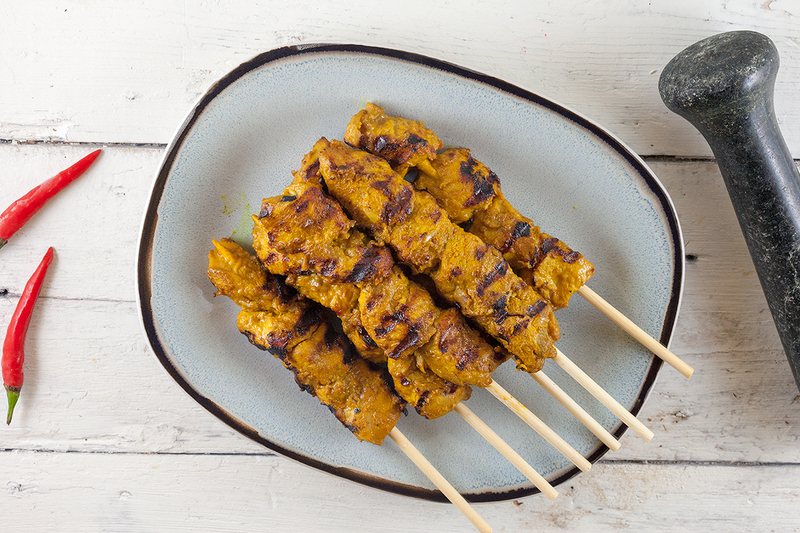 PIERCE the pieces of chicken onto the wooden skewers and HEAT the grill pan on medium-high heat. 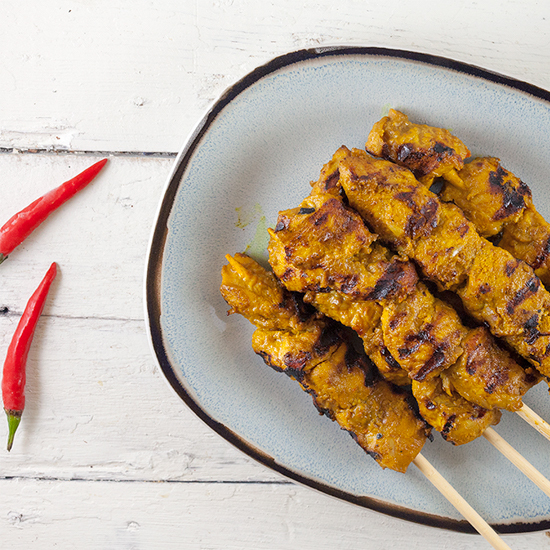 GRILL the chicken satay a few minutes on each side. CHECK if the chicken is done and serve with some satay sauce if you like. Enjoy!